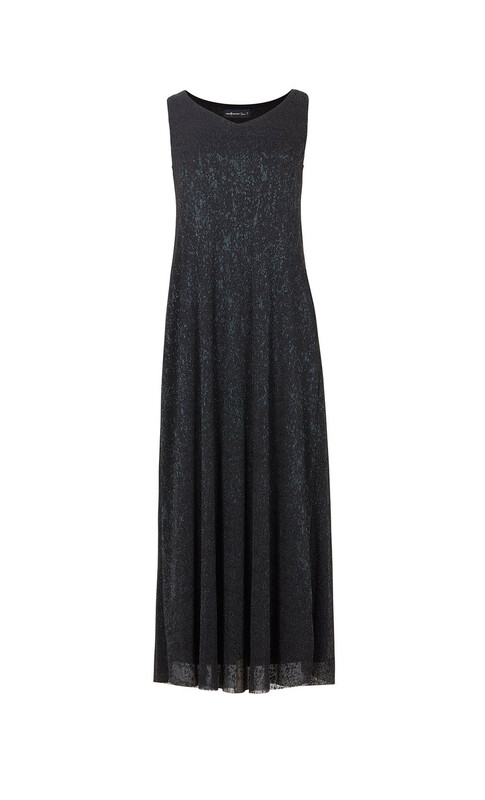 This graceful sleeveless evening gown is cut from whisper-weight lurex and features a V-neck and an elongated silhouette. It is available in two colors - black and silver. Model is wearing size 1.